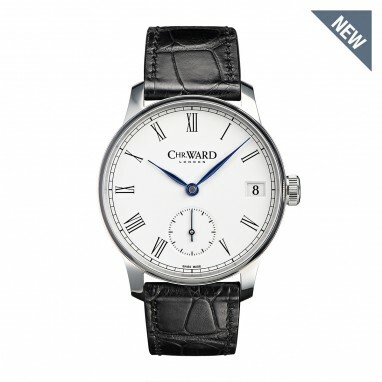 Christopher Ward appear to be really embracing the trend of making limited edition of watches by including some “historical material”. We have seen pieces of Spitfire, pieces of Aston Martin and now pieces of an historical Jaguar. An homage to the Jaguar D-Type that won three Le Mans between 1955 and 1957, a piece from one of the 18 production D-Types has been placed inside. 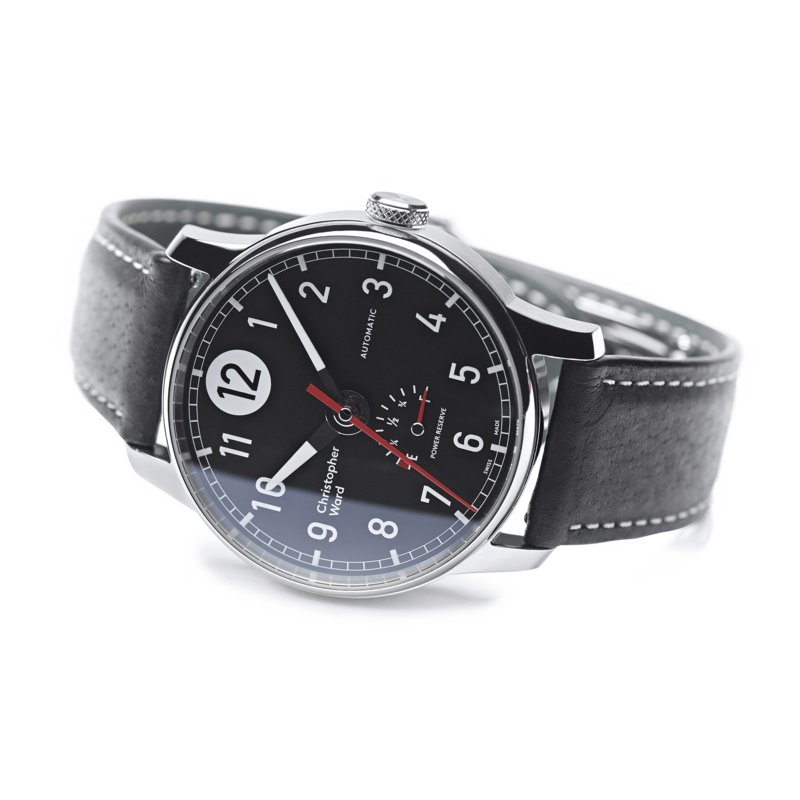 And to mark its most memorable Le Mans victory (in 1955, with Mike Hawthorn driving), it comes in a limited edition of just 55 pieces. The D-Type has a special place in the hearts of British motorsport fans due both to its design and incredible track record. Our specialist partners, TMB Art Metal, have sourced pieces of the piston from one of the original racing models, which we’ve placed in the watch. Embedded with a piece of piston from one of 18 factory models, sourced by TMB Art Metal. The metal has been laser-cut into the shape of the alloy on the D-Type’s wheel and wheel-spinner, and can be viewed through the exhibition back. The watch is powered by ETA’s Valgranges A07.161 self-winding movement that’s been specifically built for larger watch cases. I received an e-mail today announcing the release of these limited edition watches to the market. 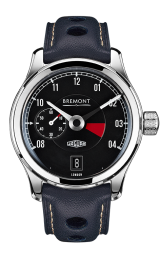 Interestingly, at a similar time to the Bremont Jaguar Mk. III. The Bremont MKI responds to the call for a more accessible version of the original ‘Lightweight’ limited edition watch by reproducing many of its design features but substituting the white gold and aluminium of the Lightweight’s case for a slimmer version in polished stainless steel. 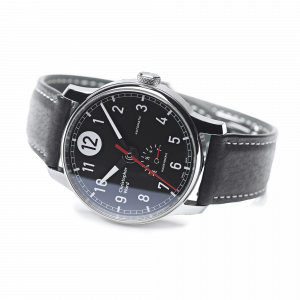 Save for the addition of a date window at the six o’clock position, the tachometre-inspired dial is similar to that of the Lightweight, featuring an off-set small seconds indicator and a distinctive ‘red line’ quadrant between three and four o’clock. Behind the dial and double-domed crystal of the 43mm MKI watch lies a new movement with date functionality based on Bremont’s meticulously finished self-winding proprietary BWC/01. Turning the MKI over not only reveals the beautifully finished movement through the sapphire crystal case back, but also one of the most intriguing features of the watch: a striking automatic winding weight in the form of an exquisite miniaturisation of a three-spoke E-Type steering wheel, complete with the iconic Jaguar head at its centre. 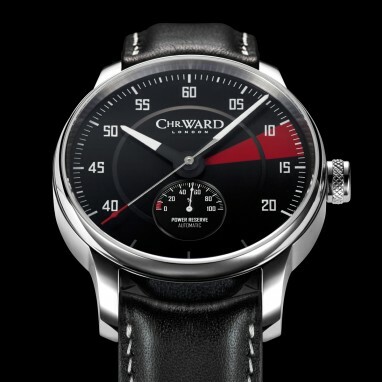 The Christopher Ward C9 GT40 is a limited edition using material from an historical GT40. Few stories set the pulse racing like that of GT40 #P-1075’s double victory in the world-famous 24 Hours of Le Mans races of 1968 and 1969. One of only 107 GT40s produced between 1964 and ’69, #P-1075, with its innovative monocoque chassis and distinctive pale blue and orange Gulf Oil livery, was an engineering triumph – where British modifications fine-tuned an American automotive powerhouse to create a legend of the endurance racing circuit. And the fact it is still the only car to have twice won the world-renowned 24 Hours of Le Mans race, makes it a true ‘holy grail’ artefact of not only British, but global, motorsport. A laser-cut ‘wheel’ of aluminium from the wheel-spinner of GT40 #P-1075 itself is precious material, then, to be fitted within the backplate of our latest paean to motorsport in watchmaking, the C9 GT40. Set under museum-grade sapphire crystal, the disc reveals between its spokes the workings of the ETA Valgranges A07.161 movement within. Aspects of the car are replicated with meticulous attention to authentic detail, with a faithful representation of the rev counter evident in each cue of the dial, from the needle hands to the realistic indexes and the bold blaze of the red zone, not to mention the “fuel gauge” power reserve indicator driven by the powerful Valgranges A07 movement. Subtle reference in ceramic to the car’s blue and orange Gulf Oil colours adorns the crown. Each piece of the 40-piece Limited Edition is assembled by hand in Switzerland by master watchmaker Johannes Jahnke, with the ETA Valgranges A07.161 movement delivering a 46 hour power reserve as well as supreme accuracy. Pursuing a personal mission, prevailing over adversity, and securing the ultimate prize – triumph – all these make the evocative story of #P-1075 a fertile source of inspiration when we looked to design the C9 GT40 in the spirit of British motor racing. The Worn & Wound website have recently published an article comparing the new C9 Moonphase to Frederique Constant Classic Moonphase. Here is a link to the full article . For those of us less interested in the Frederique Constant watch her are however some interesting insights into the Christopher Ward offering. The C9 Moonphase is the latest in C. Ward’s flagship C9 series, and another in-house complication solution by horological wunderkind Johannes Jahnke, the movement designer behind such previous efforts as the C900 Worldtimer, the C9 Jumping Hour and the C9 5-Day Automatic.The C9 Moonphase, however, represents a significant step forward for C. Ward, with Jahnke’s moonphase module (on top of a ETA 2836-2 base instead of their bespoke SH21, in a surprising move that probably has to do with reducing cost and overall movement thickness) promising both smooth movement as opposed to the more usual daily jump in most moonphase complications, as well as an accuracy of within 1 day for every 128 years of running. A post I realised I had not published. So this is slightly old news, over a month out of date but still worth mentioning given this great looking watch. To release an important movement in British watchmaking – their first in-house Calibre, SH21 – was a satisfying feat in July 2014. One year on, they are beginning to capitalise on Johannes Jahnke’s innovative, Baukasten system design approach with the release of a hand-wound execution with a small-second hand display at 6 O’clock, housed in their classic C9 dress case. Blued hands in elegant curved forms flatter the optic white dial and roman indexes, bringing refreshed elegance and refinement to the C9 Collection. The robust nature of the Calibre SH21 movement provides a stable foundation to the reliability of the C9 Small-Second and with each movement given the accolade of chronometer status by the Controle Officiel Suisse des Chronometres (COSC), precision and accuracy is guaranteed. Each watch is hand crafted by their Swiss watchmakers at our atelier in Biel giving the wearer, therefore, a direct connection to the mechanics of Swiss engineering, encompassed in a watch with a quintessentially English design ethos.